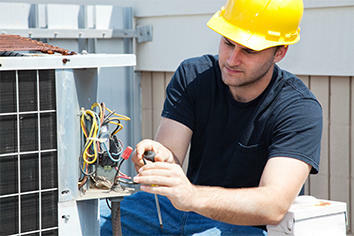 A pro HVAC contractor can help you determine whether an additional HVAC system is necessary at your home. When do I need an additional HVAC system for my home? You may need an additional HVAC system for your home if your existing system is not keeping your family comfortable and your home is large, has multiple stories, and/or includes rooms with unique heating and cooling needs. Keep in mind, however, that there is really no cookie-cutter answer to this question – a professional evaluation (including a heat gain/loss analysis) is a necessary prerequisite to determining whether you might need an additional HVAC system in your home. This is a great question; however, there’s a more basic question that’s at its core. Ask yourself, “Do I feel comfortable in my home?” If not, then it’s time to start considering why you’re not comfortable – and there are many potential reasons. For example, it could be the size (or capacity) of your existing unit, the way in which your system’s ductwork was installed, a lack of routine maintenance being performed on your system, or it could be time to consider an additional HVAC system to service your home. Keep in mind that this article focuses on the last item just mentioned – the fact that it could be time to consider an additional HVAC system to service your home. You can find helpful articles regarding the other items mentioned above posted elsewhere on our blog. So, when do you need an additional HVAC system for your home? Well, if certain areas of your home are uncomfortable and these areas of concern are generally separated from the core of your home (e.g. the areas of concern are your sunroom and a bedroom over your garage), then installation of an additional system to service the unique needs of these special areas is ideally the way to go. Some homeowners also prefer to install one HVAC system to service each floor of their home (for example, one system for the first floor and another for the second). In this manner, the homeowner effectively addresses 5-to-8-degree temperature differences that commonly occur from one floor to the next in multi-story homes (you can read more about this problem here). Finally, an additional benefit of installing more than one HVAC system in your home (though certainly not the primary reason to do so) is that if one system fails, you can still cool or heat at least a portion of your home. If you have only one system installed, and it fails on a frigid January night, you and your family are literally out in the cold! What are the benefits of having two (or more) HVAC systems service your home rather than just one? The core benefit is that multiple systems allow you to control temperatures in two or more distinct areas of your home, which keeps you more comfortable, potentially reduces energy consumption by each system, and reduces wear-and-tear on each system (since the workload of servicing an entire home can be spread across multiple systems). As mentioned previously, two-story homes serviced by only one system often exhibit 5-to-8 degree temperature differences form one floor to the next, especially in air conditioning (rather than heating) mode. To compensate for this, homeowners often turn down the temperature on the first floor so that the second floor is bearable – which makes the first floor unnecessarily cool and forces the system to run for extended periods of time. Installing an additional system to service the second floor allows the homeowner to effectively control the heat load there, which, in turn, reduces run time on your first floor system. Another energy-saving benefit of an additional system in your home is that you can more effectively set your schedule to maximize energy usage efficiency. For example, perhaps you rarely use both floors of your home at the same – mostly just your second floor overnight and your first floor in the morning and evening (and everyone is away during the day). If you have two systems installed, you could run your second floor system only overnight and your first floor system only during mornings and evenings – keeping them at energy-saving setbacks during all other times of day. At what point is one HVAC system simply “stretched too far” and unable to service a home? If your HVAC system was designed correctly when initially installed, you should not experience a time when its performance simply degrades to the point of being “stretched too far” – unless you’re ignoring routine preventive maintenance service visits (at least once per year, ideally twice per year). If your system used to work fine, but recently has had a hard time “keeping up” with temperature demands, it’s most likely time to consider a professional check-up visit (rather than consider an additional unit). That being said, keep in mind that an addition or renovation project at your home changes everything. A properly-planned project (whether new construction, additions, or renovations such as finishing a basement) should include a professional heat gain/loss calculation by a mechanical contractor in order to determine the best way to address your home’s new heating and cooling needs resulting from the remodel. If your home has gone through several remodels over the years but nobody has ever stopped to consider the implications for your HVAC system (via a professional heat gain/loss calculation), then your system very well could be “stretched too far” and unable to properly service your home. What factors go into whether a second (or third, etc) system is needed in a home? This last point is something important to mention in this discussion. You can read more about zoning here. For our purposes, it’s important to note that it is possible to “zone off” certain areas of your home while still using only one HVAC system. This may effectively meet your needs in certain cases. Sometimes, however, one-system zoning is not enough – multiple systems will be required to effectively service your home. This is where the expertise of a professional mechanical contractor comes into play! Are any considerations different for new home construction vs. an existing home with an existing system? All of the considerations mentioned so far would apply in both scenarios. However, it’s important to keep in mind that it will generally be more efficient and less expensive to install multiple systems as part of the new construction process rather than add a second system in an existing home. In other words, it’s always best to pre-plan properly, whether prior to new home construction or prior to renovations in an existing home! Could one, expensive system do the job of two, inexpensive systems? This question is a bit tricky because there are so many variables to consider (including relative definitions of “expensive” and “inexpensive”). However – it is possible with modern technology to effectively replace two low-end systems with one high-end system that’s been engineered and installed to meet your home’s unique needs. This question is a good one because it raises another important point. Installing a “second system” in your home does not necessarily mean that you’ll need two, traditional ducted systems in your home. Perhaps a modern ductless system will suffice as a nice complement to your existing traditional system. Again, this is where an analysis and recommendation from a professional mechanical contractor is invaluable! An additional HVAC system can go a long way toward maximizing comfort while maintaining energy-efficiency in your home. But considerations are often more complicated than that – be sure to give us a call for a professional recommendation!